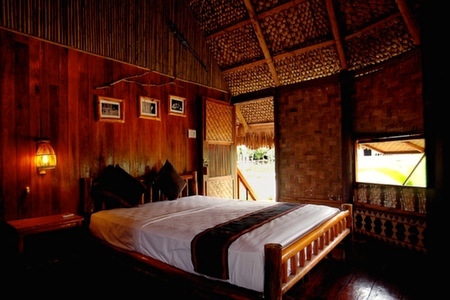 These traditional woven Co Tu stilt-houses, which are just a short drive from Hoi An, offer a unique ethnic minority experience in the heart of Vietnam. 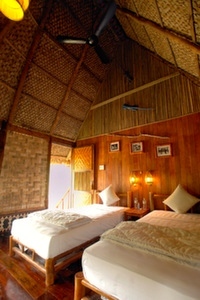 Bho Hoong Bungalows are not just another accommodation option - but more of an experience. These five bungalows are nestled in the Truong Son mountain range besides the Kon River, in an area which is home to the ethnic minority group named the Co Tu, who moved here from their devastated highlands near the Laos border after the American War in the 1970s. 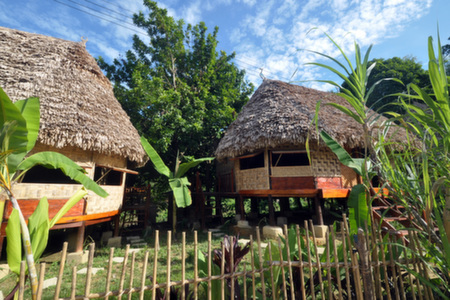 Today the 315 villagers live traditional agricultural lives and the small sustainable settlement of five bungalows opened in 2013, allowing small groups of tourists into their lives for the first time. 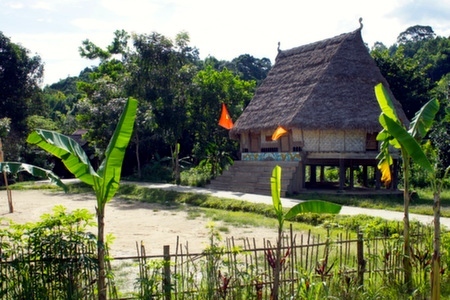 The five stilted bungalows in Bho Hoong village have been individually styled and each takes the name of an animal sacred to the Co Tu people. 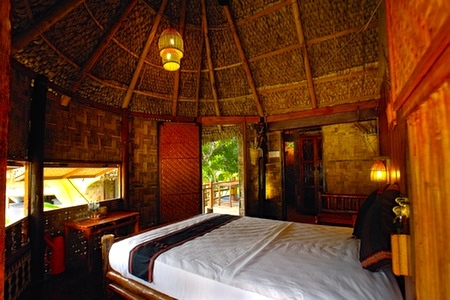 Built in the traditional style, their construction from wood, rattan and thatch is testimony to the immense skill and craftsmanship of the local people. 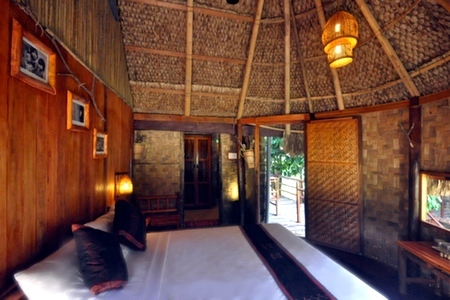 Local artisans have lovingly carved, woven and painted the many decorative works adorning the interiors and all bungalows have their own private balcony overlooking the peaceful Kon River. 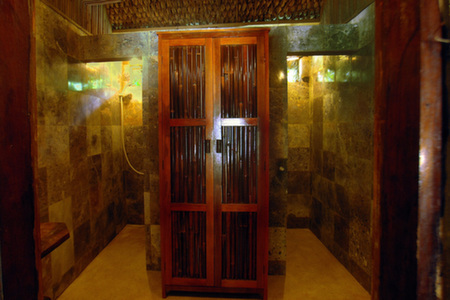 Despite their very traditional design, the bungalows have been fitted with modern finishes such as marble en suite bathrooms and comfortable mattresses with high quality linen. The very high ceiling create an open and airy space. Double rooms feature a king sized bed while twin and triple rooms are available for friends and small families. Locally grown tea awaits guests in their bungalow and the staff are on hand to cater to any request. The project is a wonderful example of sustainable tourism - local people have been provided training in hospitality and as tour guides. While villagers, traditional farmers and craftsmen have been enlisted to supply fresh produce and to showcase Co Tu culture with their unique moonlit gong and dance performances, artisanal skills and guidance. 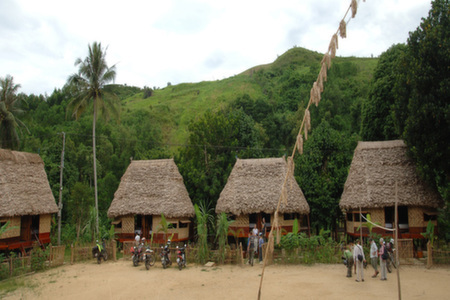 Great respect has been shown to the Co Tu people and they welcome guests into their village with a warmth that must be experienced to be believed. When it comes to food, you will be very well looked after. Guests gather for feasts in the village’s largest, most important and most highly decorated house, the Guol House. 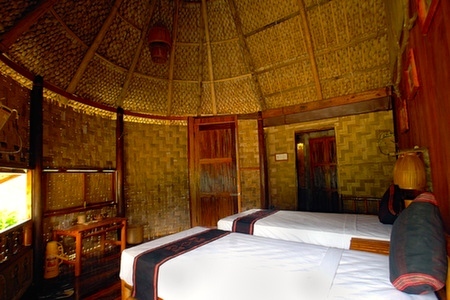 There you will dine together on a wide selection of locally produced foods from sticky rice steamed in bamboo to mouth-watering grilled meats served in numerous ways. Vegetarians need not despair as the array of home grown vegetable, locally produced bean curd and fruit dishes available are as tasty and skillfully prepared as any other. Refreshing cold drinks and alcoholic beverages are available at all times. Breakfast is included and a choice of continental, cooked English breakfast or traditional noodles will be served to you on your private balcony at your preferred time. 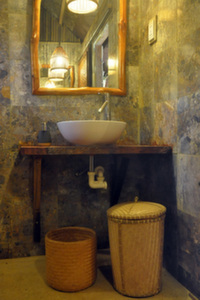 There are a number of different excursions we can offer in this area. We especially recommend the two day tour from Hoi An, which includes driving through the rice paddies and into the mountains before lunching with a former Co Tu king and staying overnight at the bungalows. The second day includes a visit to a traditional weaving handicraft village as you drive the Ho Chi Minh highway through pristine rainforest, including a gourmet picnic lunch by tropical waterfalls, before heading east again to Hoi An.